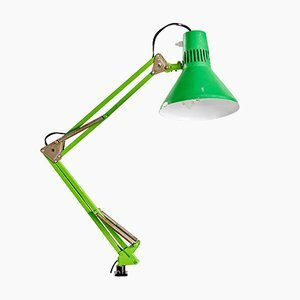 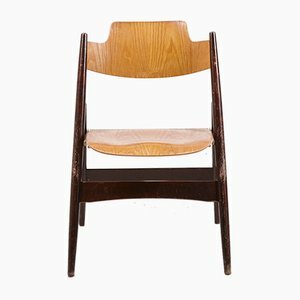 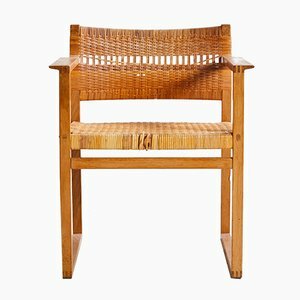 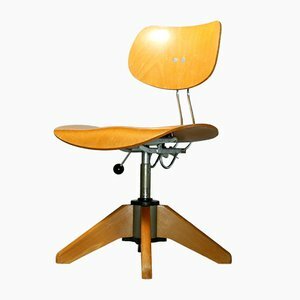 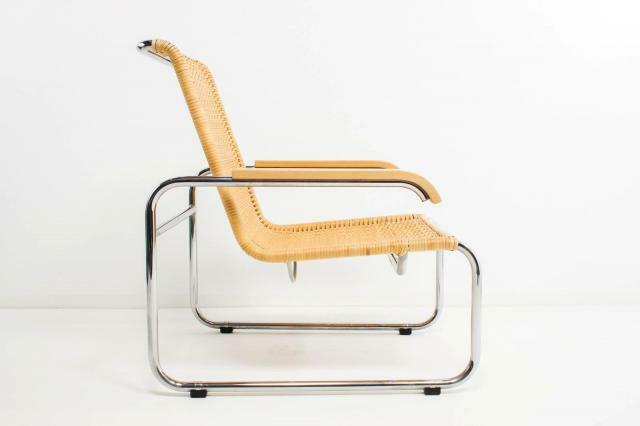 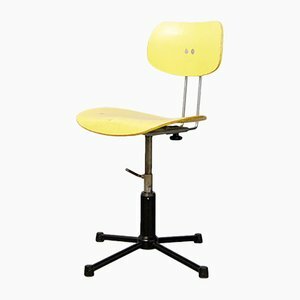 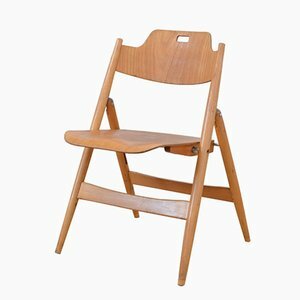 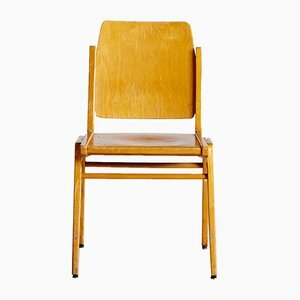 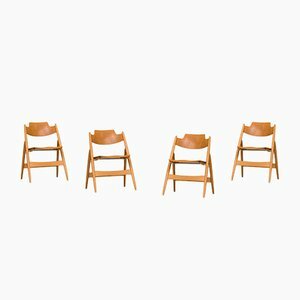 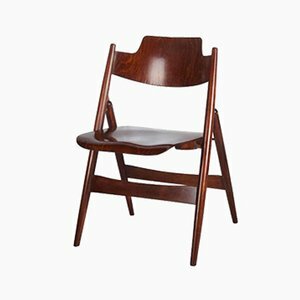 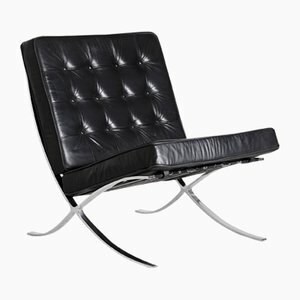 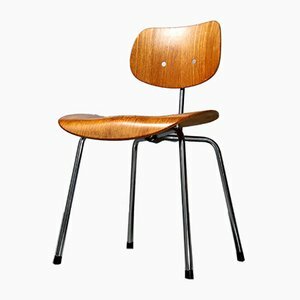 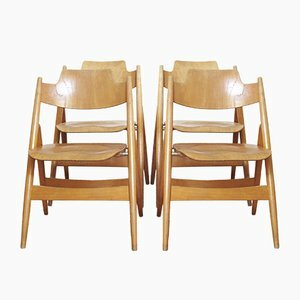 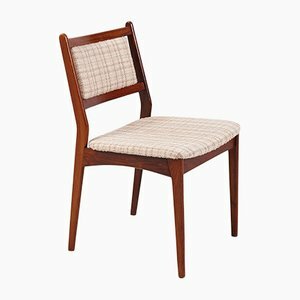 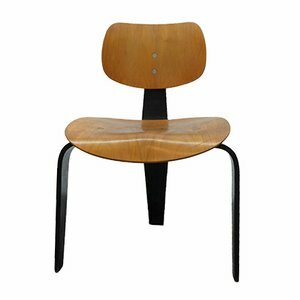 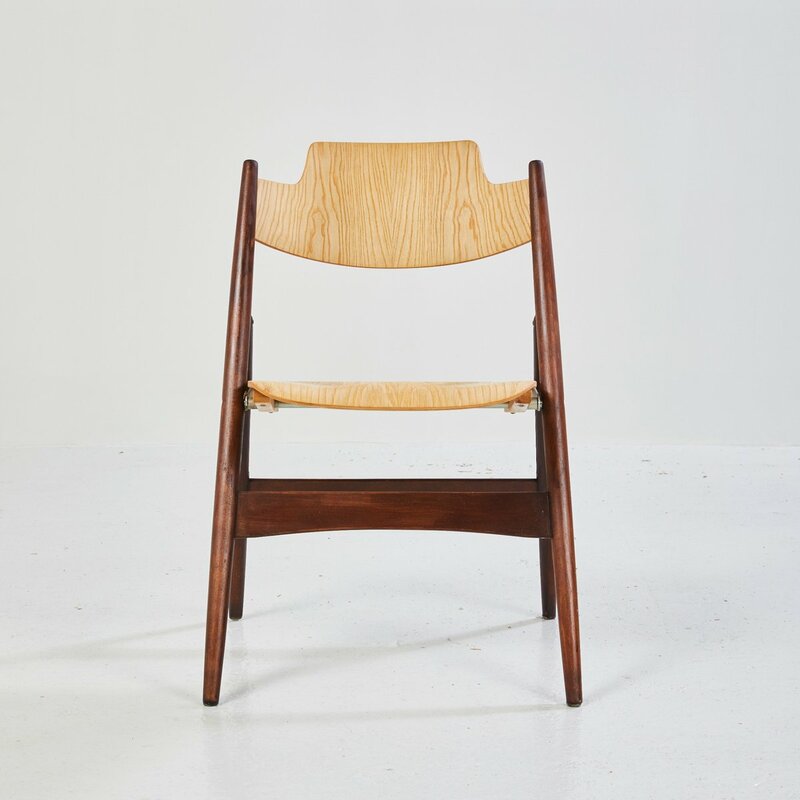 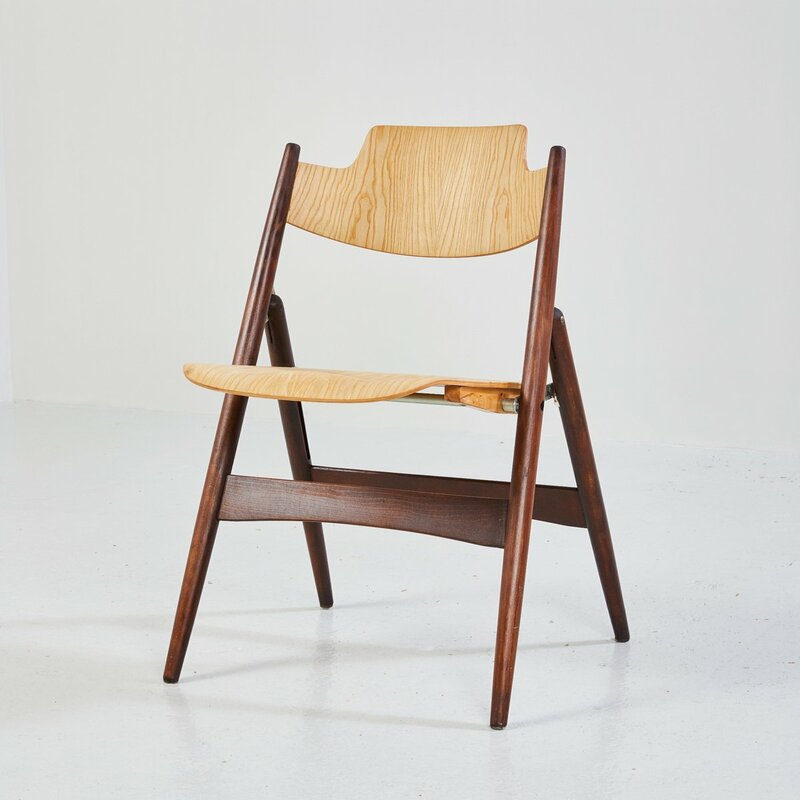 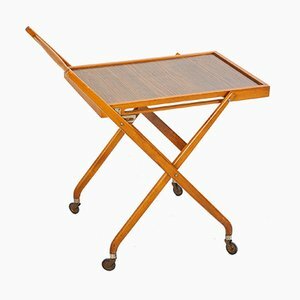 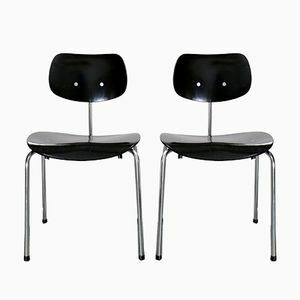 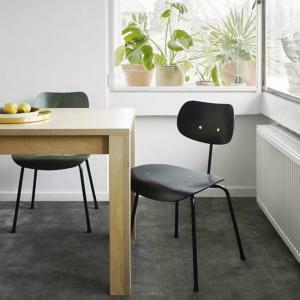 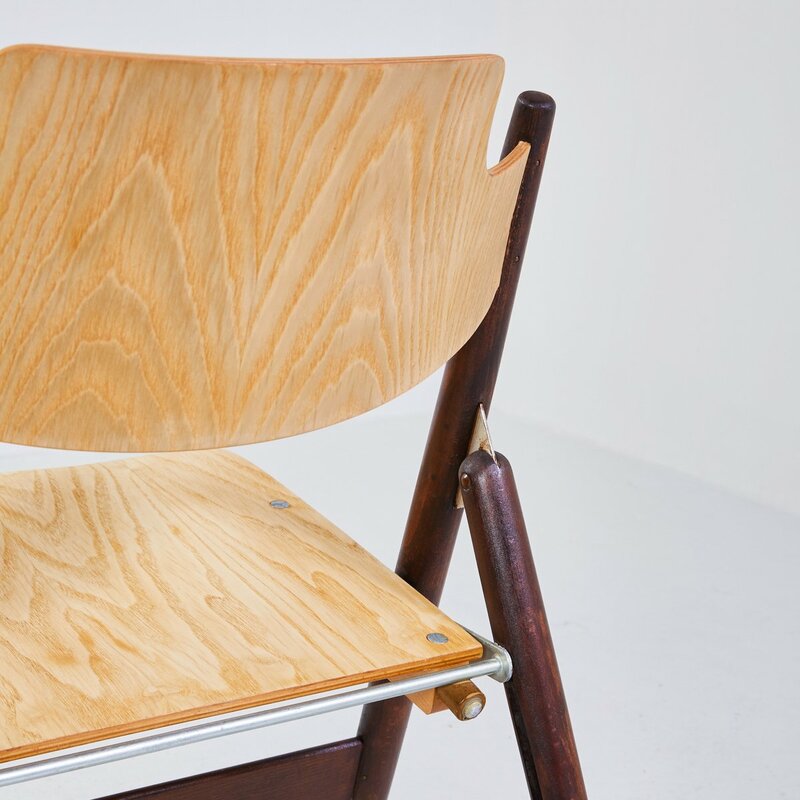 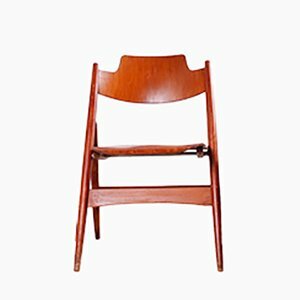 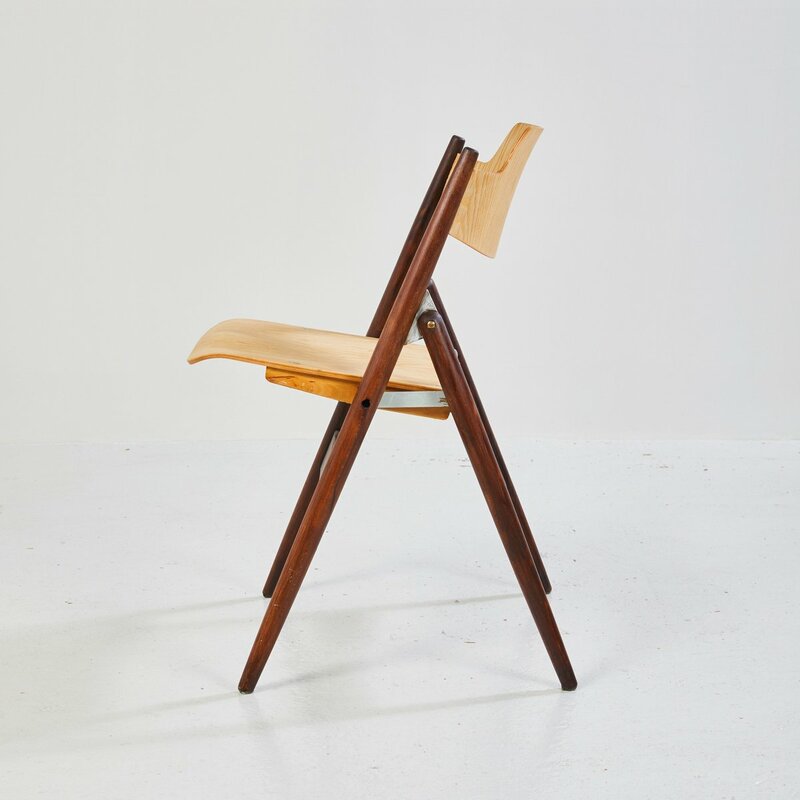 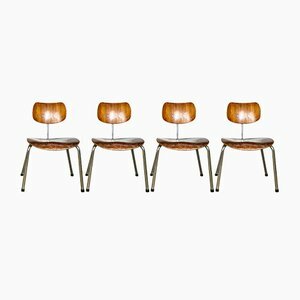 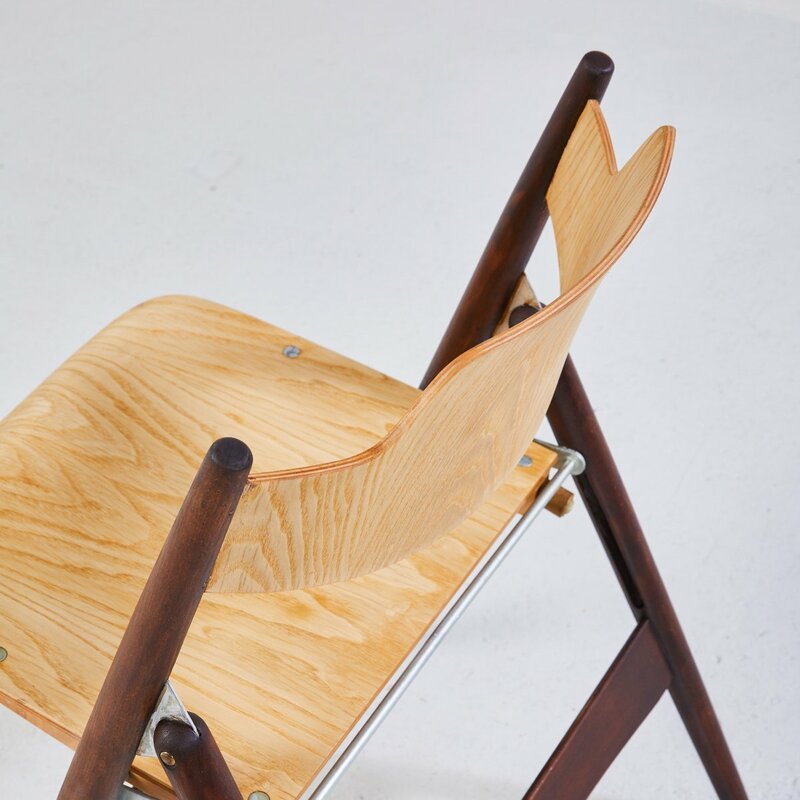 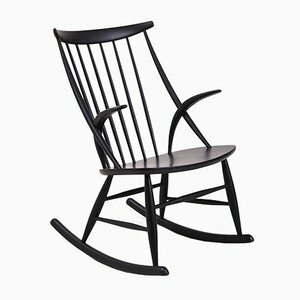 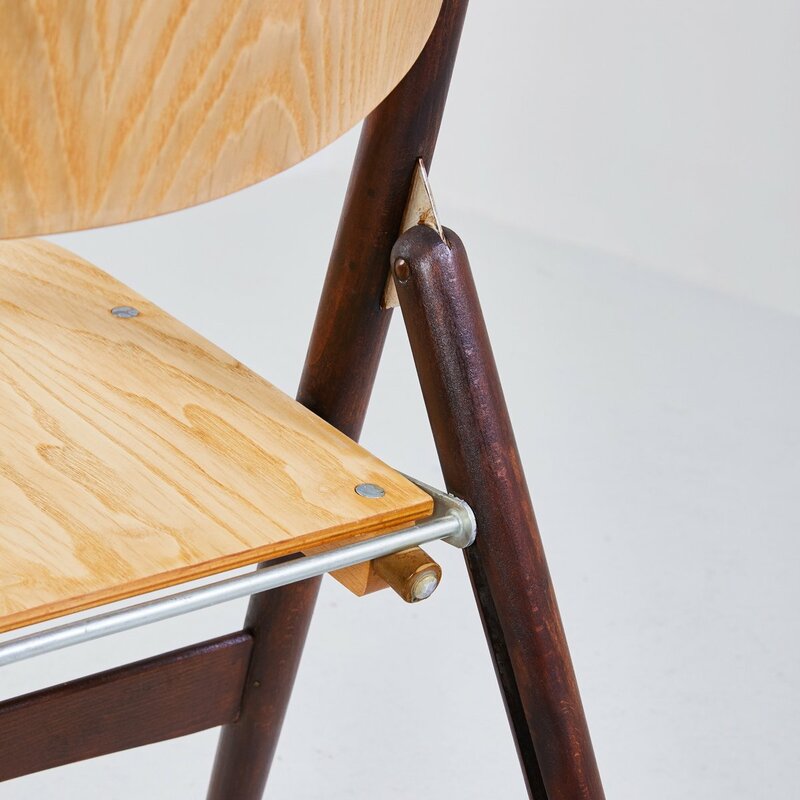 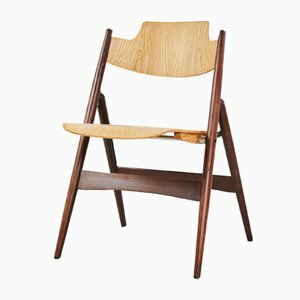 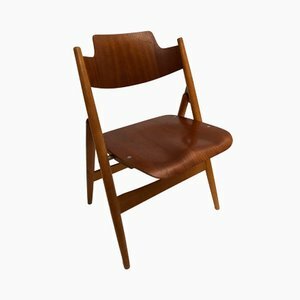 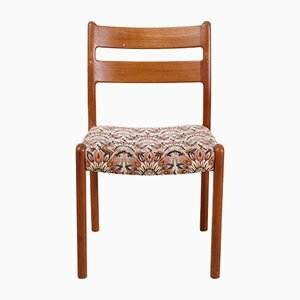 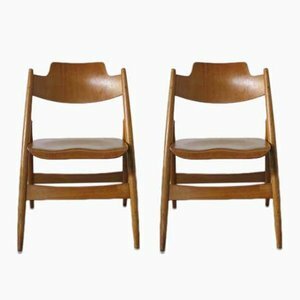 This folding chair model SE18 was designed in 1952 by Egon Eiermann for Wilde & Spieth. 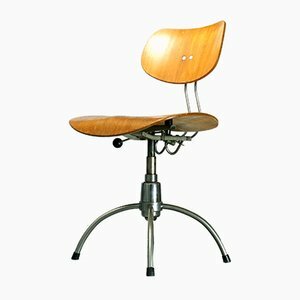 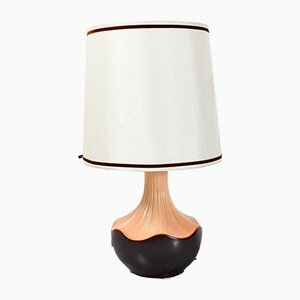 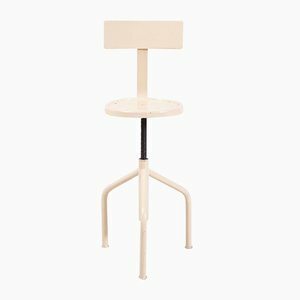 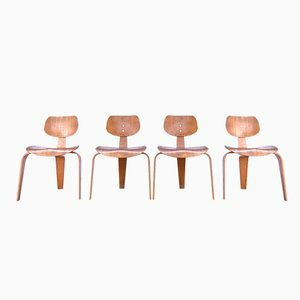 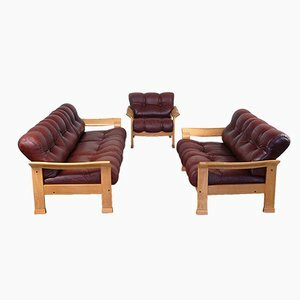 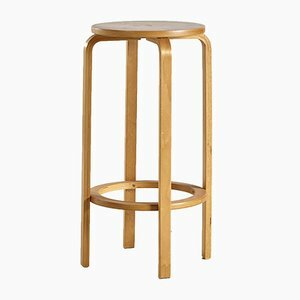 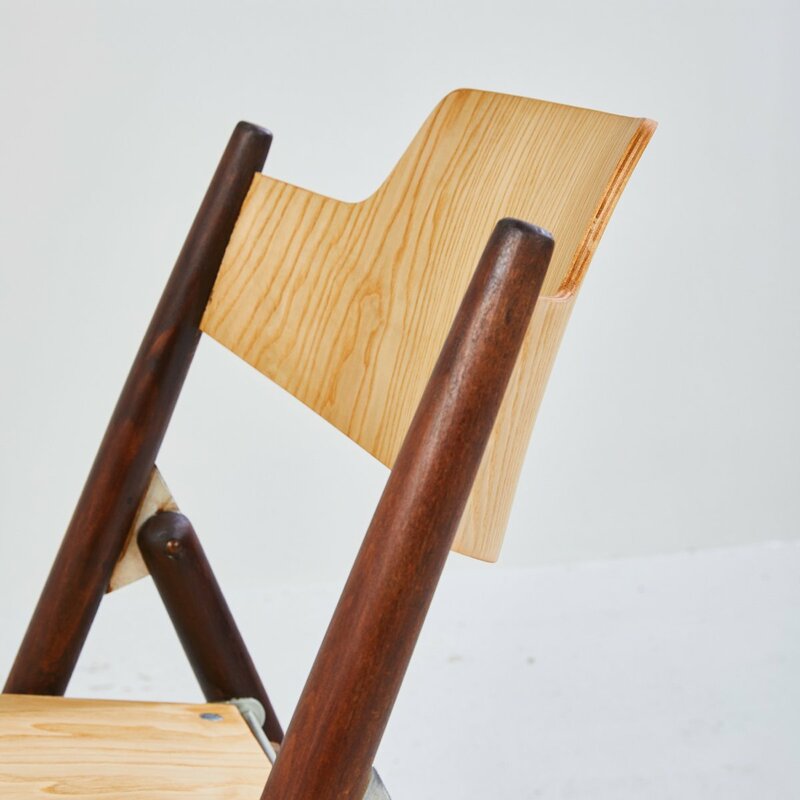 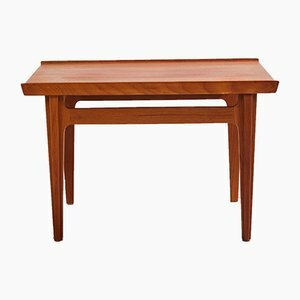 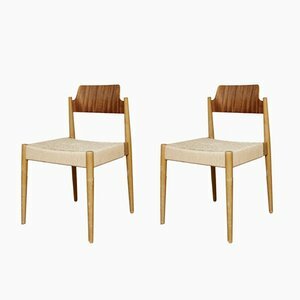 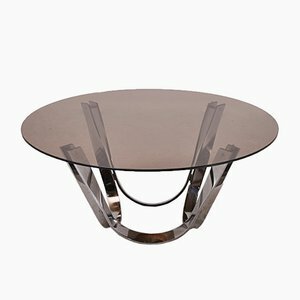 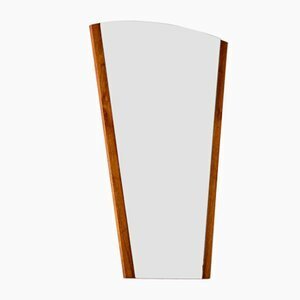 Its frame is made from beech with a seat and backrest are made from molded plywood with beech veneer. 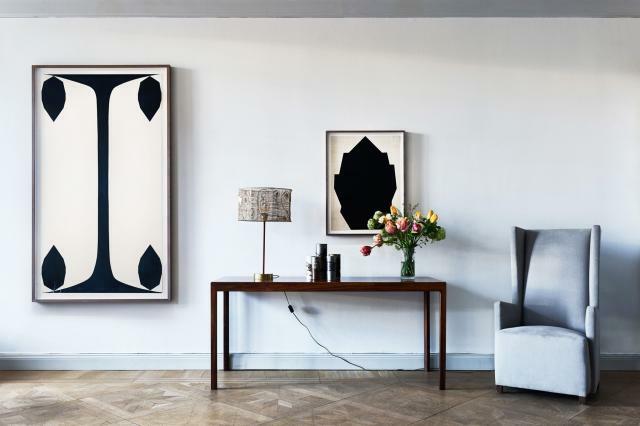 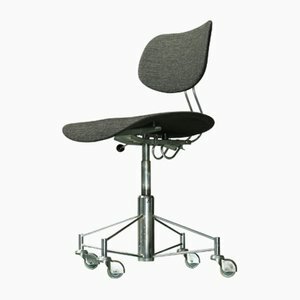 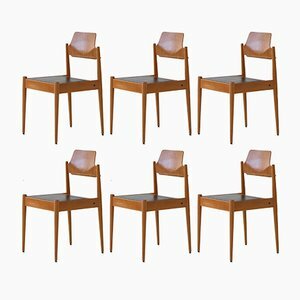 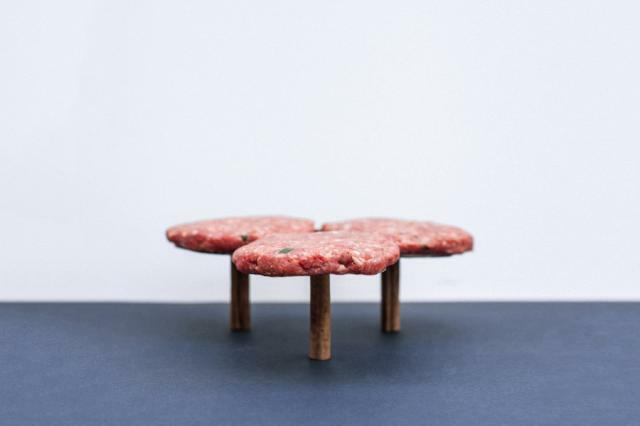 The seat folds upwards when the chair is folded and it horizontally stackable.